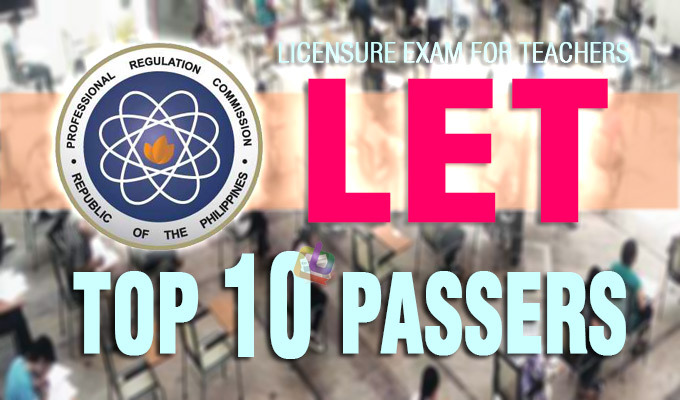 UPDATED: The top 10 passers (topnotchers) of the March 2016 Licensure Exam for Teachers (LET), also known as teachers board, can be viewed here. The list will show the respective rank, name, school, and percentage rating of those who garnered the ten highest places. In the previous LET conducted by the Professional Regulation Commission (PRC), the topnotchers were from the Catanduanes State University and University of Mindanao for the elementary and secondary levels, respectively.